Buying a business is one of the best ways for someone to become their own boss. 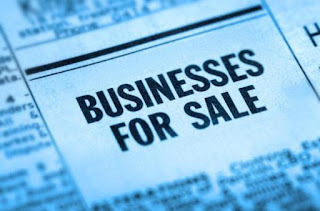 There are many different things to remember when it comes to buying a business. First of all, the legal step when buying a business is to sign a contract with the price that is agreed on. Although that sounds simple in theory, there are other things to keep in mind during this process. There are many contract agreement forms that must be signed before the business can officially be turned over. Marketing the new business is something that many people do not understand. Here are several tips in marketing for anyone who has just bought a new business. It is vital to invest in marketing early on in the process. When buying a new business, it can be tempting to simply put all of the time and energy into getting the business up and running again. However, marketing needs to be considered an essential future component of running the business. There are many people who understand this and have had success. With all of the different technology available today, there is no excuse not to leverage this into something larger in terms of marketing. Social media is one of the best things a business can have when it comes to spreading the word about its products and services. However, social media must be used correctly in order to have leverage with customers. Simply producing content is not enough to drive the results that are needed. Always make sure to take a targeted approach to social media when trying to attract your customers. This focused effort will pay off over the long run. Many people forget about the power of thank you notes in our new world of technology. However, this is one of the best ways to make your company stand out from the rest. Especially when first starting out, this can be a great way of letting customers know of the business transition after the purchase. Once your customer base grows to a certain level this will not be possible, but until then this is a great gesture to make towards customers. If your company does not already have a website in the purchase agreement, make sure that you start building one the moment you take over. A website is an essential marketing tool in today's world. Anyone who wants to reach the most customers they can needs to make sure their website is as high quality as possible. The best marketing tool that anyone new business owner can have is to simply treat customers the right way. If customers have a great experience with a company, they have a much better chance of coming back to do business with them against. Over the long term, the most successful companies are those that treat customers the right way. About the Author: Tully Rickets is a writer with interests in healthy living and marketing. When he's not blogging about healthy behaviors, he enjoys researching ideas for his marketing website from many blogs and websites.